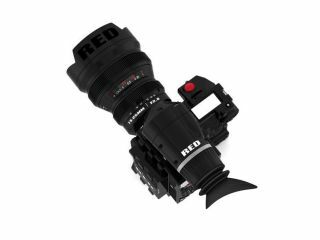 RED, the video camera specialists, has finally uncovered its long-awaited update to its Scarlet and EPIC camera ranges. The RED One camcorder has been the darling of Hollywood since its release, with the likes of Stephen Soderbergh using it to shoot his movies. The reason is its price, a fraction of what the likes of Panasonic and Sony can produce for the professional market. The new Scarlet and EPIC are both movie and DSLR cameras – utilising RED's famed Digital Stills and Motion Camera (DSMC) system. The Scarlet name has courted some controversy, with RED alleging LG took the name for one of its TV ranges without permission. The cameras are completely customisable. Essentially you buy the body and then choose from a range of separate RED add-ons, like displays, eyepieces, lenses, and mounts. Resolution for the Scarlet starts at an impressive 3K (3072x1620), which can be scaled up to 6K. EPIC is much more epic, with resolution starting at 5K at 30fps, and going up to a crazy 6K. Prices start at $7,000 (£4,800) for a basic Scarlet setup with Nikon lens, and a 5K EPIC will set you back $28,000 (£18,900). There is a 9K version of the EPIC on the horizon, but that won't be hitting distributors until 2010.